Most of the Back to Basics toasters are instantly recognizable as they’re not really shaped like toasters at all (or if anything, shaped like odd toasters). Instead, the Back to Basics line of toasters incorporate a toaster with egg cooker – making it a 3-in-1 device that is able to toast bread, cook eggs, and heat up pre-cooked meat.The egg toaster will even let you choose whether you want to poach, scramble, or boil your eggs – making it the perfect all-round breakfast cooker. ​Although each Back to Basics toaster differs from the next – they all share the same core features insofar as they are a toaster with egg cooker combination. All of themincorporate a toaster with a side-tray that can be used to poach or scramble eggs.Other trays can be used for different purposes – such as the steamer tray to boileggs, or the heater tray to heat up pre-cooked meat. ​The controls of the egg and muffin toaster are relatively simple and consist of atouchpad to control whether to use just the toaster, just the egg cooker, or both –and a dial to set the brownness of the toast. To use the Back to Basics egg and muffin toaster you just need to place your ingredients and select the appropriate option on the touch pad and it will take care of the rest. Of course if you want softpoached or boiled eggs then it may take some experimenting to get the duration right,and scrambled eggs will require a bit of a learning curve too. ​All in all however the Back to Basic toasters are quite simple to put to use. Each other different models is distinct however, and while all are essentially a toaster with egg cooker there are features that set them apart – some in small ways, bu others in more significant areas. ​As its name implies, this Back to Basics egg and muffin toaster includes a 2-slice toaster along with the signature egg poacher side-tray that is present on all models.It comes in an elegant black color with white accents at the control area. While itis fairly basic, it is more than sufficient to whip up a muffin and egg breakfast injust a few minutes in quick and easy fashion. ​When you boil it down, the Back to Basics Paula Deen Egg-and-Muffin Toaster is essentially the same as the 2-Slice Toaster and Egg Poacher – just branded under the Paula Deen banner and with its own unique design. 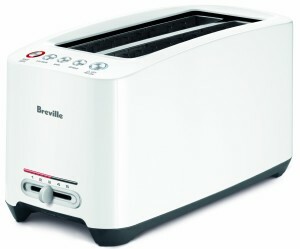 Assuming you’d like a whiteversion of the toaster with egg cooker then this model will definitely suit yourtastes, and in all other ways it is pretty much identical. ​Essentially the ‘big brother’ of the Back to Basics family of toaster with egg cooker models, this one features the ability to act as a 4-slice toaster and also comes with 2 of its signature egg poacher side-trays. Needless to say that opens up a few additional options – including being able to boil and poach eggs simultaneously if need be. If you’re trying to decide which model you should be using all you need to do is figure out what sort of size you require. Assuming you have a need for a 4-slicetoaster with a 2-tray egg poacher then that should probably be your first port ofcall. If not – then you can decide between the black or white version of the 2-slice toaster that cook eggs. ​Regardless of which option you choose, the bottom line is that any one of these Back to Basics egg and muffin toasters is bound to be a great addition to your kitchen. Itwill help simplify your breakfast routine, save you a ton of time, and the best partis that it will do all that while helping you to whip up some great eggs and toast.Once you own your very first toaster with egg cooker, odds are you won’t be able toimagine how you ever managed without one.